Seenu (Chiranjeevi), a petty thief, leads a hedonistic life, complete with shaking the leg with Ratthalu (Raai Laxmi for the item song). 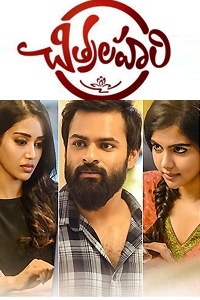 When he accidentally gets into the shoes of social crusader Shankar (Chiranjeevi, again), Seenu's life takes an unexpected turn. Impersonating himself as Shankar, Seenu eyes to lay his hands on the fortune that ought to go for the former's philanthropic activities. But in his journey, the happy-go-lucky, aimless guy finds a noble purpose on coming to know about Shankar's fight to restore the decimated livelihoods of the farmers of Neeruru. It's up to Seenu to use his brains and brawns in his heroic fight against the empire of Aggarwal (Tarun Arora), a ruthless businessman out to grab whole villages. Many of them have had different things to say about Chiranjeevi's choice to do this subject and work with VV Vinayak, of all the directors. But one generally misses the fact that an actor of his stature pics a subject not only because he believes in its content, but also, first and foremost, after considering his abilities. Beginning his second innings after about a decade, the redoubtable Megastar's biggest masterstroke was in selecting to remake 'Kaththi'. Have no doubts. Was Chiru playing safe? He was, but not for himself but for the film. The director would be forgiven for any minor/major mistake(s) if the subject is emotive. When it pricks the conscience, who cares to nitpick about a movie? But then, it exonerates the film/director, not a superstar. For a Tollywood mass hero, Chiru has pulled off nothing less than a risk by choosing to play a crusader who can't do fights, a character he himself wouldn't have played even five years ago. That's what those who know the audience's pulse do. When the rest of us are clueless, they know they are supposed to evoke the right emotions in us. In this case, it's occasional sympathy for Chiru's two characters. It's a double dhamaka, self-gifted, Megastar-style. Make no mistakes. AR Murugadoss' story is formulaic to the core. At one level, 'Kaththi' felt like a glorified documentary. It's about a court battle, but there is no court scene of the kind we saw in 'Tagore'. It's key sub-plot is a Gandhian struggle - hardly the kind of stuff a Megastar was expected to do in a film with three mainstream action sequences. At one level, the story is about the arguments of the victims, not arguments with the villain. The lack of a proper villain, not to speak of a proper heroine, is a letdown. But with Megastar on board, he makes the Gandhian struggle episode look satisfying by going for 'Ammadu Let's Kummudu' out of blue! The masala-song-amid-tragedy template of our cinema, for once, never looked so thumping, banging us out of ennui! And he makes do for the lack of creative villainy (yes, Tarun Arora is seen doing those old-style rowdyism that is so jaded) with a couple of Sai Madhav Burra-powered dialogues. 1. Annam thinevadu ila matladadu.. Gaddi thinalanna rythu kavali kada ra. 2. 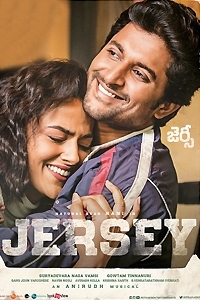 Galli politics nunchi Delhi politics varaku choosi tattukunna gunde ra nadi. 3. Mee patnalu maa palletoorlaku puttina pillalu. There are movies saved by the hero. Then there are movies saved by the Megastar! Megastar is insanely incredible. If his dance moves (especially the thumping step of 'Ammadu' and the moves in 'Sundari') are beyond belief, his dialogue-delivery is the film's soul. Whether he is pulling Brahmanandam's legs or giving a sermon to journalists/public on the plight of farmers, he is eminently lovable. His baritone has gone missing for years. Not any more. Not. Any. More. Then there is his handsomeness. When he says, "Why is she not looking at me? Intha glamour ga ready ayyanu," you want to root for him. That's Mega cuteness, you know. Watch him in those boozing scenes. He is in his elements. From word go, Chiru is the one-man army who bulldozes over the ordinariness of the story. He is the mass hero who doesn't let us crib about the pointlessness of a double role. He is the matchless performer who wins and leads other ordinary performers to victory along with him. Such is his stamina. The one episode where the script takes over, and rightly so, is the flashback episode that has Seenu moved to tears. 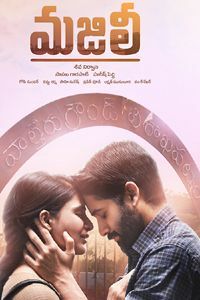 DSP's heart-rending 'Neeru Neeru' tune is a Vinayak innovation. Vinayak proves his mettle. He efficiently draws from the material provided by Paruchuri Brothers, Burra and Vema Reddy. If Ali as Seenu's friend is just OK, Brahmanandam getting blackmailed as in 'Gudumba Shankar' is enjoyable. Most probably, the Posani-Raghu Karamanchi scene will have to be deleted as the audience may not receive it well; who wants to watch someone fighting a billionaire also get into an odd tiff with small-time buffoons, that too in the second half? Kajal Aggarwal doesn't look beautiful, somehow. Her role is too sketchy. 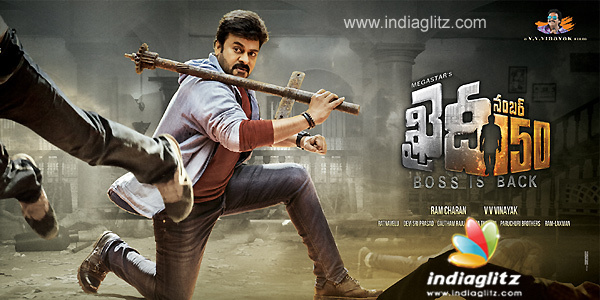 DSP's rocking music makes for a great watch on the big screen; it's pulsating when Megastar dances to his tunes. Rathnavelu's cinematography is another A-class asset. The songs, especially are beautifully shot. It's a monstrous Mega comeback. 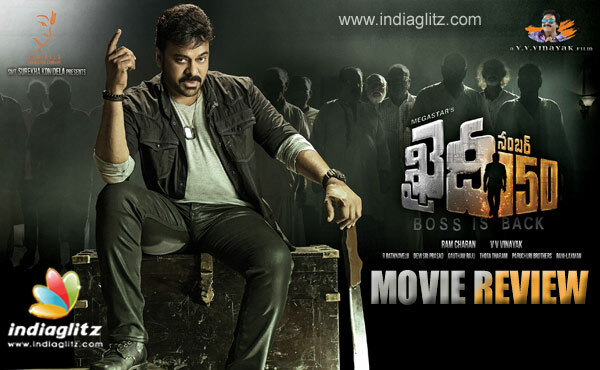 Seen in two contrasting characters, Chiru kills the boredom of formula with 'kaththi'. Vinayak does a commendable job in presenting Tollywood's biggest superstar of last generation in an awesome style. There are certain flaws in the script, the pace does falter here and there, the action sequences could have been better, but as you walk out of the theatre, all that you will say is: HE IS MEGA MARVELLOUS. His dialogue-delivery will go a long way in making this film a worthy watch.